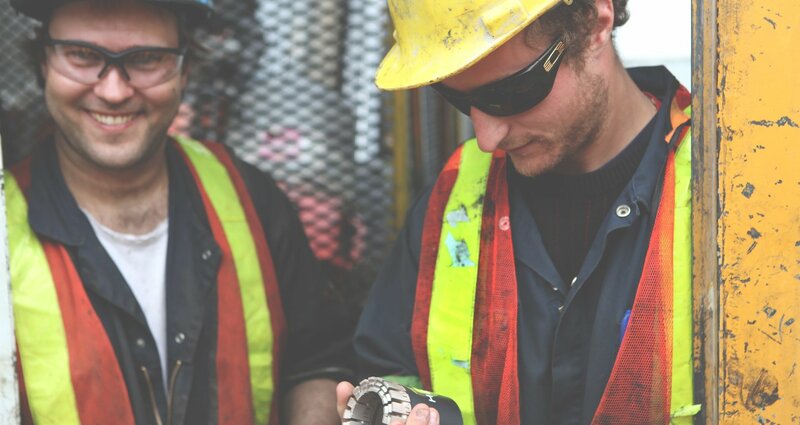 When the geologist has given you a specific target to reach with your bore hole, many of them will make specific requests that a hole proceed in a very straight direction for a certain number of meters. A lot will be riding on your ability to get there without your bore hole deviating. Most diamond drillers know that preventing bore hole deviation is a lot easier than having to correct once it’s gone off the trajectory. One way to avoid the risk of deviation is to stabilize your core barrel before you start drilling and you do this by changing some of the equipment you usually use. Your typical core barrel will come with a standard outer tube. A full hole or hexagonal outer tube is stiffer than the one that comes with the core barrel. By changing the outer tube for one that is hexagonal or full hole, you will be better able to resist deviation. Your next step is to combine this with an extended reaming shell. If you have more diamond pads on the reaming shell, you will have more control on deviation and on hole diameter. An extended reaming shell that is 18 inches long will have four diamond rings. The diamond pads in the front will help you stabilize the core barrel and control the direction while the diamond pads in the back will help maintain the diameter of the hole. 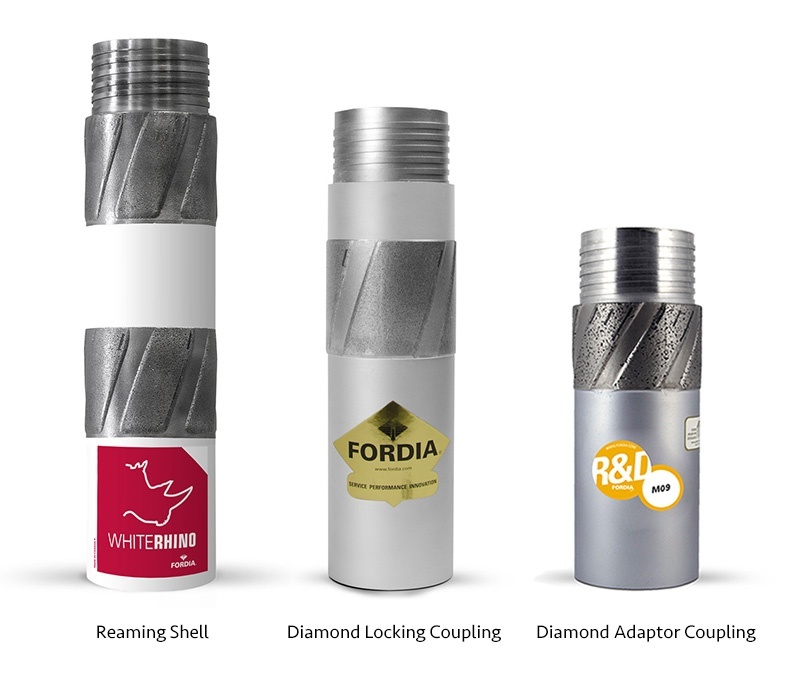 Choose a reinforced diamond locking coupling instead of a standard locking coupling. This type of locking coupling is made with a diamond impregnated ring and water channels similar to a reaming shell. It is the most effective locking coupling for keeping the back of the core barrel stable. One less expensive option would be the Hex Locking coupling. Finally, the last piece of your new stabilized core barrel is the adaptor coupling. 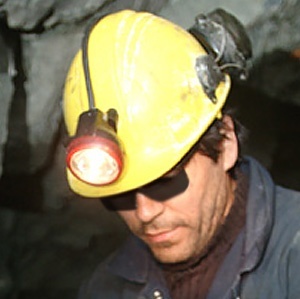 Instead of a regular adaptor coupling, use a diamond adaptor coupling, also known as back reamer. The result of switching out your parts for the ones listed above is that you will get the best stabilization of the core barrel, and that will strongly influence on direction, and resist deviation. You should remember however, that although this equipment will stabilize the leading end of the drill string, it will result in an increase of water pressure in the bore hole. This is due to the fact that the annulus between the bore hole wall and the core barrel has been reduced. The circulating water will have to push harder to get through so you will notice your pressure going higher. In-hole torque will also increase causing more friction. Bore hole deviation is something that diamond drillers want to avoid but is also inevitable in certain situations. As I mentioned above, prevention is key but even with a stabilized core barrel, deviation can occur. In that case there are tools and equipment that can help you correct it. Our new guide Bore Hole Deviation: The Drillers’ Guide to Avoiding It and Dealing with It can give you a great overview. Check out our learning library or contact our technical support team for more advice.